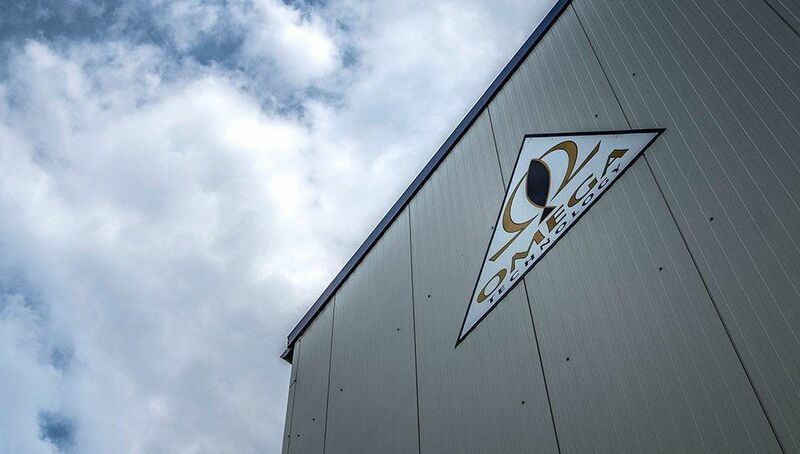 Omega looks back on a successful past and looks forward to a promising future! Omega Technology Plastic – In the plastics industry this name is synonymous with first class engineered components made from various types of plastic. OMEGA TECHNOLOGY PLASTIC is a company name that in the plastics industry is synonymous with first class engineered components made from various types of plastic. These components are predominantly used in the automotive industry, in mechanical engineering applications and in agricultural vehicle technology. It is doubtful that the average driver ever stops to consider how much work goes into such a small component as he adjusts the fresh air vent in his car. There is actually a considerable amount of precision involved to ensure that the surface matches the entire dashboard in terms of colour and structure and that the dimensions fit absolutely perfectly otherwise the part cannot be installed and many other criteria also need to be fulfilled. OMEGA specialises in meeting precisely these types of requirements irrespective of whether the part needs to fit an operating panel in a crane or whether a door handle is required to fit a garage door. OMEGA currently holds nearly one thousand different types of tools in stock. These are used to manufacture engineered plastic components which are sent to customers all over the world. How did it all begin? The company was originally founded as P + S Plast- und Schaumtechnik and then the entire injection moulding division was taken over by the company’s current owner and managing director Walter D. Olbert in 1995. From this point, the company positioned itself in the marketplace under the name of OMEGA TECHNOLOGY PLASTIC. This name represents the company’s clear corporate philosophy which cannot be fully appreciated by merely looking at a glossy brochure but is lived and breathed each and every day by the company’s current workforce of over 140 employees. The company stands out from the crowd due to the fact that it always fulfils its promises to its customers to deliver outstanding quality, that it is committed to environmentally-friendly business practices and the management concept is firmly rooted in ethical principles. Customers from the automotive industry in particular require suppliers to focus on adhering to the most recent environmental standards. Attempts are being made to place all articles in reusable containers and to deliver them in reusable packaging and transport equipment. Another concrete example of an environmental measure that has been implemented by the company is the use of waste heat from the machinery to heat the large warehouse. The project team led by our very experienced project manager Friedrich Kenneweg develops tailor-made product ideas for customers. When it comes to developing new cars, issues such as quality and durability are of utmost importance, however, it is now also important to ensure that each component fulfils the requirements stated in the technical specifications that relate to weight reduction. The team at OMEGA is always keen to embrace new challenges and it is therefore important that all employees are well trained in order to meet these requirements. OMEGA has earned an excellent reputation in the Diepholz area in recent years as an accredited training centre for technical and commercial apprenticeships. The willingness to delegate tasks and responsibilities to apprentices at an early stage in their training is a good example of the company’s excellent training practices. OMEGA also gets involved in educational programmes with other local companies and provides training in the company’s meeting rooms in order to supplement the curricula offered at the vocational colleges. What goals is the company setting for the future? As Managing Director Walter D. Olbert explains, ‘We want to achieve strong and above-average growth and develop our manufacturing facilities in Diepholz in a gradual and secure way.’ This has been demonstrated by the various measures that have been undertaken at OMEGA in the past few months which include new items of machinery, a new office area, a 3D measuring device and the newly constructed production and tooling building. These are all impressive examples that demonstrate the company is achieving strong growth and is looking forward to a promising future!